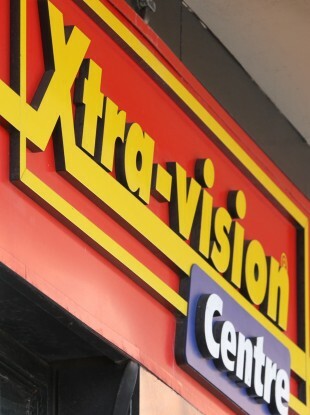 THE HIGH COURT has appointed a provisional liquidator to the Xtra-vision movie rental chain. The bulk of the 583 full and part time jobs at the company are likely to be lost, Mr Justice Paul Gilligan heard. The company’s owners, Oxtermont Ltd, which is part of the UK-based Hilco Capital, petitioned the court for the appointment of Mr Michael McAteer of Grant Thornton Ireland as provisional liquidator of Xtra-vision Entertainment Ltd, which operates more than 80 outlets in both the Republic and Northern Ireland, and the related company Xtra-vision Ireland Ltd which owns the stock. Mr Justice Gilligan, who said it was “unfortunate that the company is no longer viable,” confirmed Mr McAteer’s appointment as provisional liquidator after being told the firms were insolvent and unable to pay their debts as they fall due. Edward Farrelly BL, for the company, said the irreversible decline in the movie rental market was the main reason why it is seeking to go into liquidation. The company said it sustained a “very significant” decline in revenues in 2015, down more than €12.4m from the previous year. The appointment of a provisional liquidator would secure the company’s assets and would aid the orderly winding-up of the company, counsel said. Counsel said the appointment of a liquidator could result in some of the jobs being saved, as some positions could be secured at related companies such as the HMV chain. Unfortunately counsel said it is expected that the bulk of Xtra-vision’s employees would lose their jobs. The firm has stores in all four provinces as well as its base and warehouse in Tallaght. Counsel added that any gift vouchers issued by the company will be honoured. Counsel said the current owners are part of the Hilco Capital group, which specalises in corporate restructuring. It acquired Xtra-vision in 2013 from receivers. The business has been in existence for more than 30 years. Counsel said it was always accepted the the movie rental business is a “sunset industry” particularly with increased popularity of movies being digitally streamed online or broadcast on satellite TV. It was hoped that in the declining market the losses could be mitigated and Xtra-vision would return to profitability for a few years. The company did make a profit in 2013 and 2014. However in 2015, especially during the last six months, the chain experienced a “particularly drastic” decline in revenues, counsel said. The decline had been accelerated by technological improvements in online streaming, as well as the illegal downloading and piracy of movies, counsel added. Its turnover for last year was down by €12.4m from the previous year and Xtra-vision made a loss of €2.5m in 2015, counsel said. The owners were of the opinion the decline was “manifest” and “irreversible” and that they would continue to suffer significant losses in 2016. The company had been funded by way of loans from a related firm within the group. The owners had taken the decision not to continue to support the firm any longer, which resulted in cash flow difficulties. Arising out of that, the company passed a special resolution to go into liquidation. The company was no longer in a position to pay its debts as they fall due, including wages and monies owed to Revenue, the court was told. The company counsel said they had “no option” other than to go into liquidation. The matter will return before the courts next month. Email “Almost 580 jobs to go as liquidator appointed to Xtra-vision”. Feedback on “Almost 580 jobs to go as liquidator appointed to Xtra-vision”.